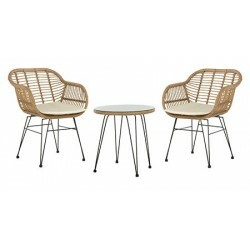 Patio lounge sets including table and chairs are great for setting up a beautiful sitting area quickly! Free Shipping on all orders! 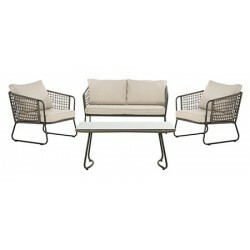 This modernistic 3-piece lounge set in light brown beige is a essential for your outdoor living!FREE Fast Shipping! Modern and slick! This light brown white lounge set is a perfect fit for a new-fashioned lifestyle!FREE Fast Shipping! Sit cozily even while outdoors! 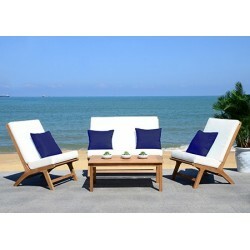 Alive with surf and sand, Sao Paulo’s legendary beaches inspired this 4-piece outdoor living set.FREE Fast Shipping! Modern and slick! This grey beige living set is a perfect fit for a new-fashioned lifestyle!FREE Fast Shipping! Modern and slick! 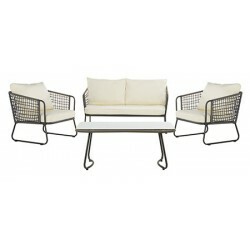 This grey white living set is a perfect fit for a new-fashioned lifestyle!FREE Fast Shipping!